PicDuinO® complements the advantages of conventional pick-by-light systems by USPs like completely wireless picking modules, and a 3D sensor for automatic pick-confirmation. Logistics companies and manufacturing companies are puting into practice a fast, simple and economical picking. With PicDuinO® companies opt for a pick-by-light system that, thanks to uncomplicated operation, reduces picking times, and mitigates enormously the risk of picking mistakes. Powerful LEDs direct the worker to the next picking compartment. Since the pick-by-light system requires no picking list, error-free picking becomes a walk-over, even without language skills. Also temporary employees and part-time workers are in a very short time already able to pick quickly and accurately. With the wireless PicDuinO® we provide an important building block for the implementation of industry 4.0 concepts in intralogistics. Companies save time and money with PicDuinO® even before the initial operation: he both compact and robust Picking modules operated by 1.6-volt AA NiZn batteries do not require laying cables so that their installation at the storage shelves requires little time. All data and status information are transmitted from the PicDuinO® picking modules via Bluetooth® to a central mini PCs that are based on the power-saving Intel NUC platform. Innerhalb Within the Bluetooth® range of each mini-PCs, about 30 meters, any number of modules can be used. 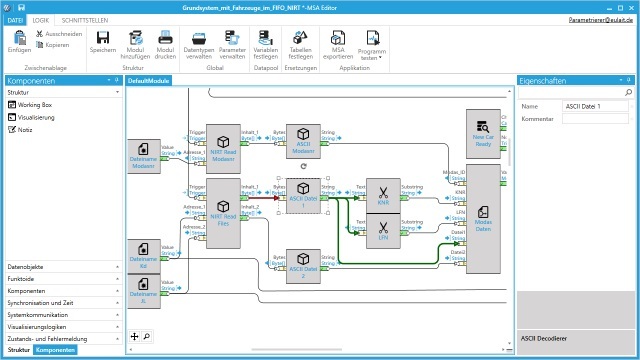 PicDuinO® has an open middleware – this enables easy connection to external ERP systems and manufacturing control systems such as MES. The optional 3D sensor for picking confirmation automatically registers a goods picking by the order-picker. A manual acknowledgment of the picking is therefore no longer required – this also speeds up the picking process. The 3D sensor detects objects and movements up to a distance of more than four meters. The automated picking monitoring thus covers, in particular, application scenarios with large-volume and large-format picking goods. The intelligent 3D sensor monitoring automatically detects overlapping sensor signals and resulting interference and filters them out. 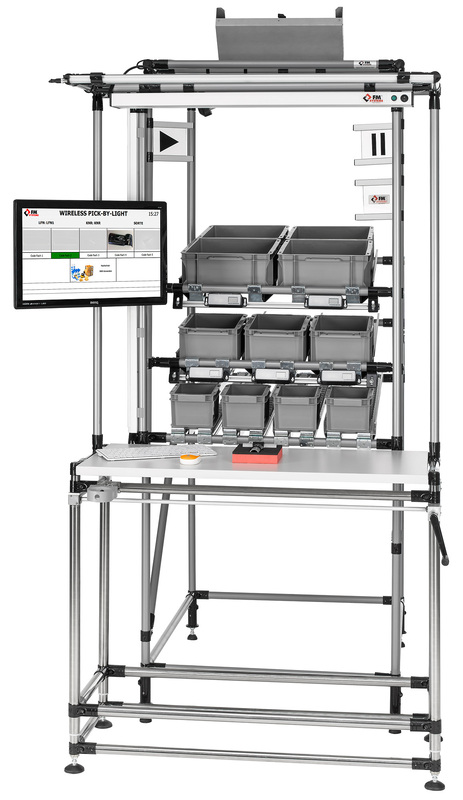 PicDuinO® thus offers a very reliable, automated pick acknowledgment even in warehouse and logistics areas, which are characterized by narrow shelf sequences and condensing of the picking compartments. As an alternative to the 3D picking monitoring, a manual acknowledgment of the product picking is also possible at the touch of a button. PicDuinO® users can parameterize and adapt to their individual needs all system settings plus status and warning messages easily and flexibly via a graphical editor. The picking modules automatically transmit to the system server important key data such as the battery level, and can these data also show on the module display. In addition, the modules proactively monitor their ability to function and, in case of disturbance, sendautonomously alarms to the control center. This prevents that module failures remain undetected and leads to erroneous picks.